I’ve been emphasizing for months that the current correction in the gold price is a result of speculative money fleeing the market and not any reflection of gold’s long-term fundamentals. Unfortunately, there is so much money to be made (and lost) by day trading that my cautions have once again fallen on deaf ears. Well, it looks like the so-called “technicals” are starting to support my theory, and so this month I’m going to depart from my typical discussion of market fundamentals and take a look at the COMEX gold futures market. It turns out that the same paper markets that helped drive the price of gold down are beginning to run into the hard reality of physical gold demand; their reversal may push gold to new highs. The world of futures contracts is often confusing for ordinary investors. It is mainly the domain of institutions seeking to hedge and professional speculators. I do not recommend passive investors get involved in futures trading, but it is helpful to understand how these financial instruments affect gold’s spot price. One of the reasons gold futures are so risky is because of the sheer quantity of gold that transactions represent. When you buy a single COMEX gold futures contract, you gain control – and responsibility for – 100 troy ounces of the yellow metal. So when the gold futures market was said to have made “big moves” this last April, that was an understatement – on: April 12th, it opened with a sell off of: 100 tonsof gold! It gets worse. Traders often leverage (borrow cash) to buy futures contracts, with the down payment they supply known as the “maintenance margin.” The minimum maintenance margin for a single futures contract is only $8,800. If spot gold is at $1,300, then a trader can gain control of $130,000 worth of gold with less than 7% down! Depending on a combination of luck and experience, this massive leveraging can lead to either amazing profits or devastating losses. Let’s walk through an example, keeping in mind that my figures are very simplified, because a futures contract is not exactly equal to 100 times the current gold spot price. Most of the time, futures prices are a little higher than spot gold. Say gold is at $1,300, which means a COMEX gold futures contract gives the investor control of about $130,000 worth of gold. A trader buys a contract with only a $8,800 margin. If the price of gold goes up to $1,500, the futures contract is now worth $150,000. The trader can now sell that contract and pocket the difference. He just netted about $20,000 with only $8,800 in seed money. If the trader had simply bought $8,800 worth of physical gold, he would have only earned about $1,350 in the same time period. It is not hard to see how futures trading can seem exciting and profitable on its face. But what if the price of gold goes down in this scenario? The more the price of gold drops below the contract price of $1,300, the more the investor will be required to add to his margin to maintain the same ratio of down payment to loan value. This is required as assurance that he will not abandon the contract. In the worst case scenario, the trader cannot put up the additional funds and the entire position is liquidated by his broker. So far, this example is of a trader “going long” with a futures contract. It can be risky, but the potential losses of a long futures trader are nothing compared to the losses someone shorting the market might experience. Consider the same scenario above, except this time the trader has a short contract. He is desperately betting that the price of gold will drop enough for him cover his short position (buy back the contract he sold) at a lower price. After all, he can not hold the contract to maturity, as he does not actually own any physical gold, and thus would not be able to deliver to the buyer. The key difference between long and short traders is that shorts are forced to add to margin when the price of gold goes: up. : Unlike a drop in the price gold, which can only go so low, there is theoretically no limit to how high the price of gold can rise. Someone betting on gold’s demise with short futures contracts when gold enters a big bull market can be completely devastated by their margin calls. It’s risky enough leveraging into a deal as aggressively as futures traders do, but if traders don’t understand the fundamentals of the asset underlying the contract (in this case, actual physical gold), they can get into a lot of trouble and in turn distort the price of the commodity they are trading. This is precisely what is happening now. When gold began its price drop in April, we saw a rush of paper gold flee the market, including record-high ETF outflows. Major money managers and hedge funds began selling their gold positions, issuing lower and lower forecasts for the year-end gold price. All of this became a major signal for futures traders to short gold. The selling feeds on itself as the traders seek to cut their losses, or retain some of the paper profits the earned on the way up. Sometimes the selling is fueled by “stop sell orders,” which are orders on the books that are automatically triggered when prices decline to a specific level, in many cases just below key technical support levels. Stops generally become market sell orders as they are hit, accelerating the decline and thereby triggering even more stops as prices fall lower. Some stops represent long positions being covered; others represent new short positions being established. This ongoing shorting of gold builds a cycle that feeds on itself. The shorts see others fleeing the market and so continue to short. Meanwhile, the fund managers see the net-short positions increasing and so they continue to sell gold. This cycle continued right up until gold’s rebound – in July, the gold net-short positions reached record highs. When gold began to rebound last month, a massive number of shorts were left exposed and many still remain exposed. Gold shorts are stuck holding the losing bet on an asset that is going to do the opposite of what they anticipated. If the price rally continues, these traders will feel increasing pressure to unwind their shorts before their losses become catastrophic. This “short squeeze,” as it is known in finance, will reverse the vicious cycle and could send gold dramatically higher than when the correction started. To understand this short squeeze, imagine a brand new predator entering a pristine natural ecosystem. The newly introduced predator finds a smorgasbord of prey that have never learned to outrun, outsmart, or avoid this particular predator. Before long, the predator becomes “invasive” and begins to devastate the natural population of its easily-captured food source. Thriving on the newfound resources, the population of the invasive predator surges to new highs – until the prey population collapses. This is akin to what has happened with gold shorts in the past three months. The more the price of gold (the prey) was driven down, the more gold speculators (invasive species) entered the market to profit from this trend, which only served to drive the price down further. However, as in a natural ecosystem, this relationship is unsustainable. Eventually there are so many predators that they run out of enough prey to share. This forces the predators to starvation, and eventually the population drops to a sustainable level while the prey manage to grow back to a natural equilibrium. The overwhelming problems for the shorts is that the gold they sold on the way down will not likely be for sale on the way up. My guess is that the buyers who previously stepped up to the plate were not short-term traders like the speculators who sold. These were buyers who bought gold to own it, not to trade it. For these buyers, like foreign central banks, the gold they bought is not for sale at any price (at least not a price the speculators can afford to pay). The buyers over the past few months have been lying in wait for this opportunity for years. The result of this price decline is that gold has moved from weak hands to strong. In addition, the weakness in the price of gold has caused gold miners to shut mines, reduce capital expenditures, and limit exploration/development. So gold that was once on the market will be gone, and future supply coming from new production will be diminished. So when the market turns around, how will the shorts cover? Where will the gold they need to buy come from? When traders want back into the ETFs, where will the ETFs get the physical gold they need to buy? How much higher will prices have to rise to bring that supply back onto the market? I really have no answers to these questions, but it sure will be fun for the longs, and painful for the shorts, to find out. What you and I can really hope for is that this massive short-squeeze becomes the impetus to focus the market back on gold’s fundamentals and begins to drive the yellow metal back toward its previous highs. If I’m right that gold is still grossly undervalued, then this might be the beginning of the biggest rally we’ve yet seen. 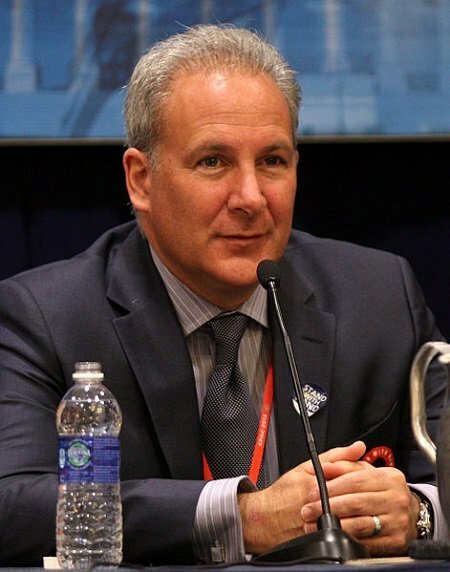 Peter Schiff: is Chairman of: Euro Pacific Precious Metals, a gold and silver dealer selling reputable, well-known bullion coins and bars at competitive prices.